Research in Kate's laboratory is focused on investigating how cells become different from each other during embryonic development, particularly neural cells in the developing spinal cord. Professor Storey completes a hat-trick of Dundee winners of the Waddington Medal, following Professor Jeff Williams (2004) and Professor Cheryll Tickle (1998), showing the long term excellence of research in Cell & Developmental Biology in the School of Life Sciences. Professor Julian Blow, Dean of the School of Life Sciences, said, “It is always a great pleasure to see our staff being awarded the major prizes in their field of science, and that is certainly the case with the award to Kate Storey of the Waddington Medal. 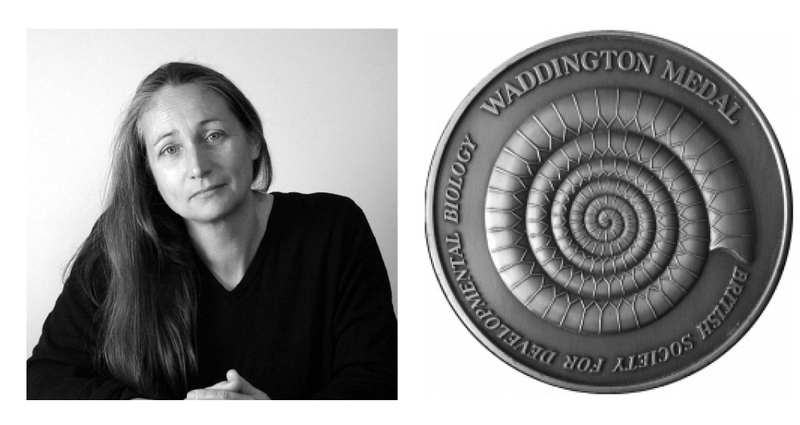 For more on the Waddington Medal and Professor Storey’s work see http://bsdb.org/2019/04/08/kate-storey-waddington-medal-winner-2019/.